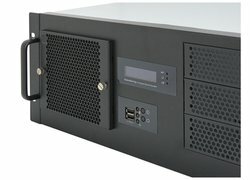 This extremely short 4U rack-mount server case with a depth of only 38cm is ideal for use in short-depth racks - like mobile flightcases or in narrow wall-mounted network-cabinets. The IPC-G438 is equipped with an integrated automatic fan-control, temperature-sensor and informative LC-Display. Up to four fans can be controlled directly by the fan-control, switching them on when reaching an adjustable target-temperature between 30°C and 60°C. Its compact size makes this chassis a perfect base for a stage-system - for example as a mobile DJ-system or lightning-control system. 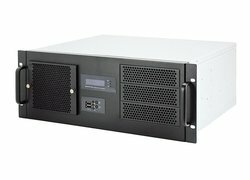 Generally it is the perfect solution for all situations where a powerful server-system needs to be installed in a very limited and highly confined space. 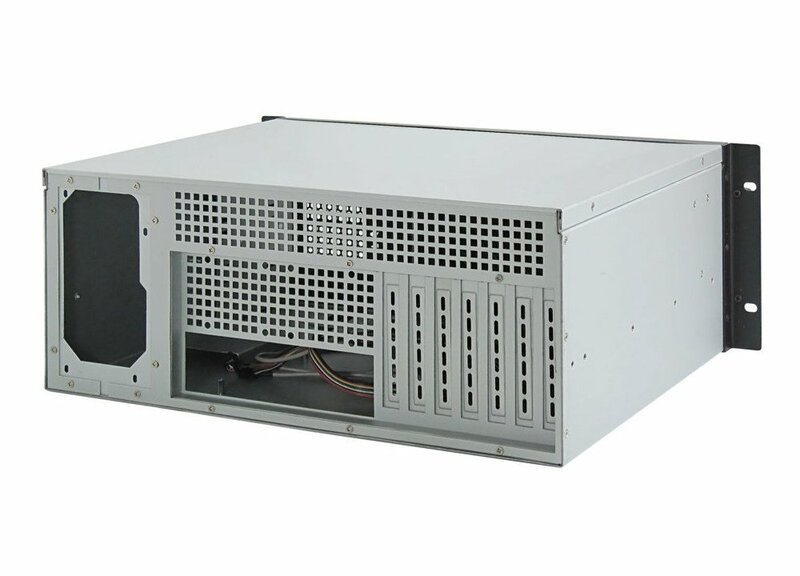 The case supports mini ITX, micro ATX and standard ATX mainboards. 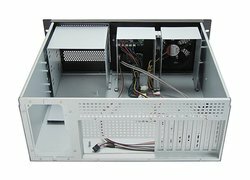 Please note, that when installing a standard ATX mainboard it becomes impossible to use the lowest of the external 5 1/4" drive-bays, so that there remain only two usable external bays. The chassis can be equipped with standard ATX/EPS and mini-redundant power supplies. We offer this case also with a matching pre-installed power supply (please see "accessories" above). If you are interested in a complete server-system based on this case, we can send you a tailor-made offer according to your specification-needs. 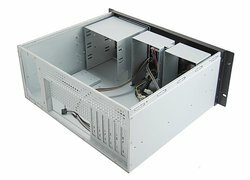 Short, well-built, not-too-heavy server case. I need to transport it (inside a short carrying server case) and it fits perfectly on my cases lenght!. I also have the 3U version and thats the reason why i bought even this one. These products are great. I ordered it bundled with a SeaSonic 500W PSU and they both are great products. Great choices, Yakkaroers ;) . This Seasonic 400W ATX power supply provides active PFC, 80PLUS bronze certification and a variety of connectors for a broad range of applications. This Seasonic 500W ATX power supply provides active PFC, 80PLUS bronze certification and a variety of connectors for a broad range of applications. This Seasonic 600W ATX power supply provides active PFC, 80PLUS bronze certification and a variety of connectors for a broad range of applications. Standard fan layout with 120mm fan.